Wow, time keeps slipping away somehow. Can you believe these colts are the same age? 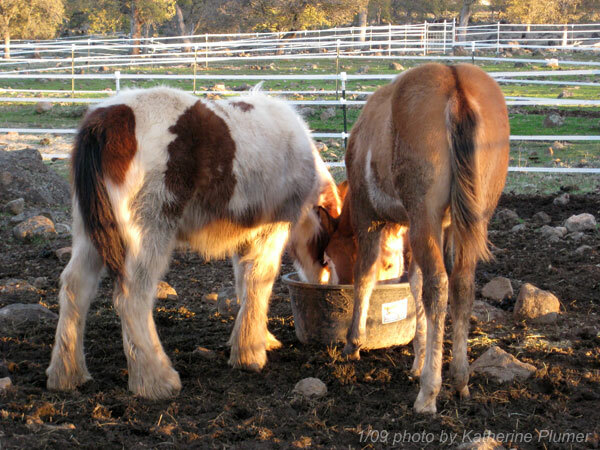 That's Aidan (Gypsy Horse) and Doc (Azteca). Doc is really tall! 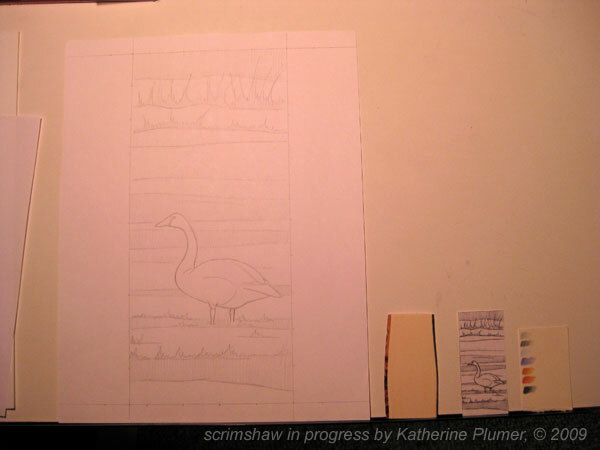 I started a new scrim project today, it's a swan in full color. I only managed to get the image prep done today, I'll work on the transfer tomorrow. Shown below is the original sketch, the polished ivory, the scanned/shrunk image I'll use for transfer, and a color swatch. This is a pale image, lots of pale blues and grays and browns, so the challenge will be to portray this white bird against a largely white background, keeping the colors soft but allowing enough contrast, all the while dealing with a surface that isn't even white! Hmm, a challenge indeed. 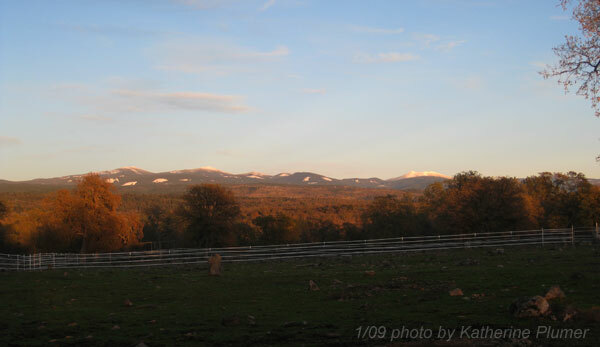 But I've been wanting to try a color image that is really subtle, so here it is. I also cut down a piece of copper and got that all polished and ready for engraving. I need to just jump in and give bulino a try. I have been studying and drooling over the books I got for Christmas (thank you P family!). I did a little experimenting with graver geometry tonight. I have one "real" bulino graver that Rod gave me (I think it's a 60 or 70 degree V-point) and I compared that to how it would look with a round-point scrim tool, just for kicks. Definitely better with a V-point. But I don't like the hand position I have to use with a normal graver handle. So I ordered another pin vise so I can rig up another one of my little nifty handled creations. Plus I don't have anything in the way of good sharpening equipment, but that and the new Airgraver ought to be here within a couple weeks. 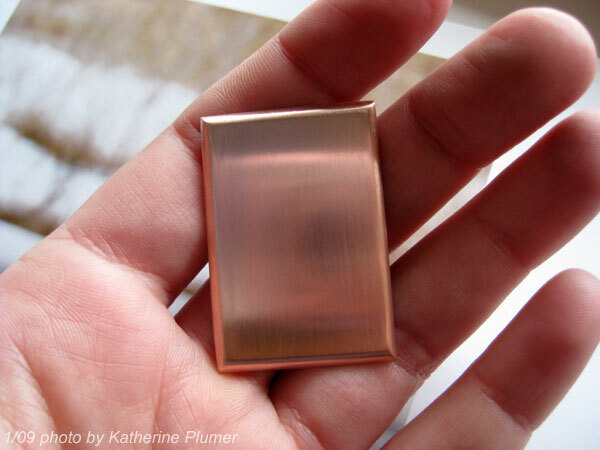 I have not decided for sure on what image I will put on this little piece of copper. I need to make an armrest for use with the engraving vise. I can see why people cut a half-circle out of their tabletops and put the vise in that space. I'm not too keen to chop up my table so I'll clamp a board on there first and see if that gives me somewhere to put my arm. Oh!!! Early warning, I will once again be performing with the Arabian Jewels bellydance troupe at the Rakkash Festival (yay we got in!) on March 14th at 6pm at the fairgrounds in Vallejo. More info as it gets closer!